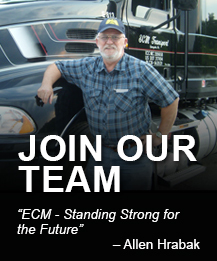 ECM TRANSPORT has been providing regional and multi-regional transportation and logistics solutions for 30 years. Over the years we have created a network of company-owned trucks, providing our customers a variety of asset and non-asset based solutions that service every corner of the United States and Canada. ECM TRANSPORT has a total of 600 Tractors. ECM TRANSPORT has a total of 2000 Trailers.